Travel with Seattle Chamber Music Society to Minneapolis this Spring! Seattle Chamber Music Society travels to Minneapolis this April for a jam-packed musical and cultural tour of this exciting city. * Saint Paul Chamber Orchestra concert featuring works by Mozart, Haydn, Martinů and Pulitzer Prize winner George Walker, followed by private reception with musicians. * Tours of the Midtown Global Market, a culinary global experience, and the world’s only Somali Museum. * Cocktails at the home of Osmo Vänskä and Erin Keefe. The city is noted for its very strong music and arts and is home of the Minnesota Orchestra, Minnesota Opera and Guthrie Theater, among other performing arts organizations. 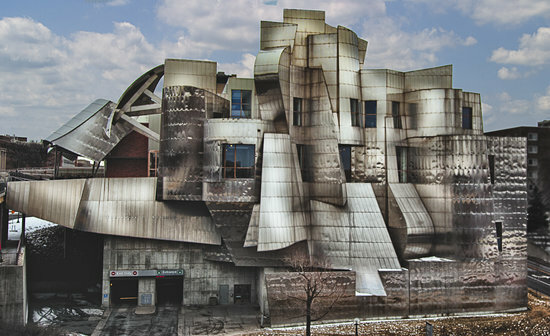 The Walker Art Center, The Minneapolis Institute of Art and The Weisman Art Museum form the backbone of a vibrant visual arts scene and we will be including visits to some of these during the days we are there. The second takes selected members of the Orchestra’s string and wind sections in a varied chamber music program that includes an aria for English Horn and String Quartet by Neal Desby, a Quartet for Four Basses by Schuller and a Brahms Clarinet Quintet. The Saint Paul Chamber Orchestra concert performance includes Mozart’s Fifth Violin Concerto, the second movement of Haydn’s 63rd Symphony and 20th century works by composers Bohuslav Martinů and George Walker. The three concerts in the Twin Cities feature musicians who were part of our 2018 Summer Festival, and we will have opportunities to meet some of them during our visit. Independent arrival and check in at The Grand Hotel Minneapolis. We meet in the early evening for welcome drinks and nibbles at the hotel followed by a transfer by coach to the renowned Guthrie Theater located on the Mississippi riverside. Dinner will be at the nearby Sea Change Restaurant featuring Chef Tim McKee’s innovative menu based on sustainable seafood. We attend tonight’s performance of Metamorphoses: a visually stunning masterpiece written and directed by Mary Zimmerman and based on the myths of Ovid translated by David R. Slavitt. After breakfast (included daily) we meet for a guided City Tour by coach, ending at the Walker Arts Center, where we receive an introduction to the center and a private tour of highlights of the collections. 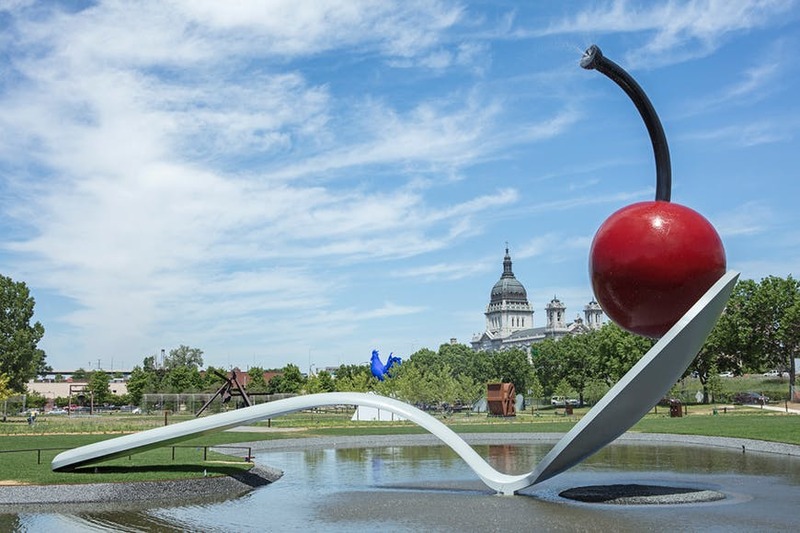 After a coffee break at The Walker, we continue with a guided visit to the Minneapolis Sculpture Garden, focusing on a selection of the more than forty Walker artworks. We board the coach for the downtown financial district and lunch at McKinney Roe one of the city’s lively, stylish restaurants. The remainder of the afternoon and dinner is independent. The hotel includes a complimentary wine reception each evening and the lounge menu at The Six15 Room is suitable for a light dinner. In the early evening we transfer across the river to Ordway Concert Hall in downtown Saint Paul and an 8:00pm concert. The Saint Paul Chamber Orchestra and Associate Concertmaster Ruggero Allifranchini takes center stage for Mozart’s fifth and final violin concerto and the 2nd movement of Haydn’s 63rd Symphony, entitled La Roxelane. The program is rounded out with 20th century chamber works by Czech composer Bohuslav Martinů and American composer George Walker, the first African American composer to win the Pulitzer Prize for Music. We plan to include a post-performance gathering with artists for drinks in a nearby neighborhood before returning to the hotel together. Depart by coach for MIA, Minnesota Institute of Art where we will tour selected works from the Permanent Collection, allowing some time for independent viewing. The next stop is another Minneapolis must-see; Midtown Global Market located in a former Sears building. Immerse yourself in an internationally themed cultural experience with foods to match. Lunch will be on your own, affording the opportunity to try delicious specialties from all corners of the globe. We gather again and move on to the Somali Museum for an hour before public visiting times. Our Somali guide will tour the museum which was founded in 2011 and is the only Somali Museum in the world. Minnesota is home to one of the world’s largest Somali diaspora populations, and the museum is a vehicle for youth and elders to preserve, celebrate, and cultivate a new future for Somali culture worldwide. Return to the hotel by mid-afternoon with time to rest. Dinner plans to be determined. Evening coach departure for the Orchestra Hall and 8:00pm Minnesota Orchestra performance. Beethoven’s Overture to The Creatures of Prometheus, Gordon’s Prometheus, part of Minnesota Orchestra’s season-long celebration of American music, Tómasson’s Piano Concert No.2 and Sibelius’ Tapiola. Intermission drinks will be included this evening as will a post-performance backstage visit. The morning and brunch/lunch is independent. 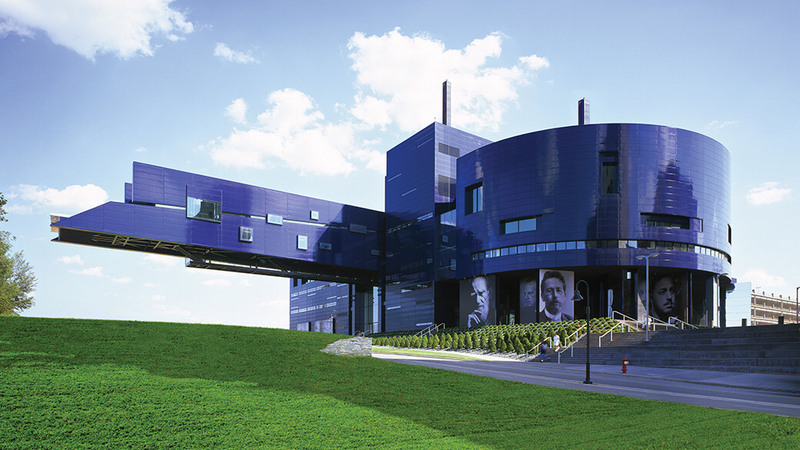 We then meet in the hotel to transfer to the stunning Frank Gehry designed Weisman Art Museum located on the University of Minnesota campus. We will have an hour long tour and some free time before driving to Orchestra Hall once more for the 4:30pm chamber music concert in the Atrium Room. Program: Desby’s Aria for English Horn and string Quartet, Schuller’s Quartet for Four Basses and the Brahms Clarinet Quintet. We drive to attractive Loring Park area for a festive closing dinner with invited guests at Bar Lounge Lurcat. Following dinner, we return to the hotel and close out our time together in the Twin Cities. Independent departures. Private car service to the airport may be reserved through the concierge.